Experienced industry leaders committed to providing exceptional service. 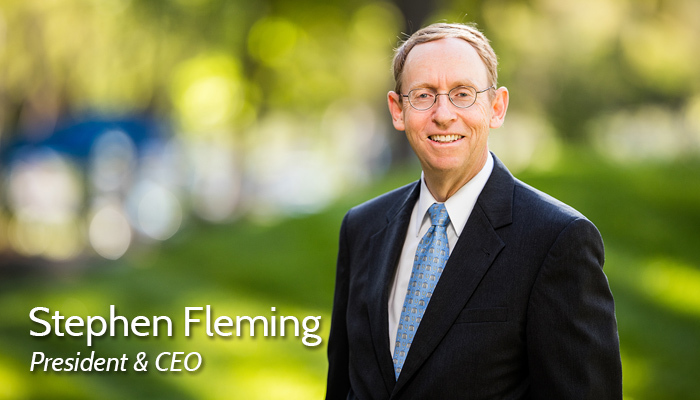 Since September ’08, Steve has been President & Chief Executive Officer of River City Bank, the largest and most profitable bank based in Sacramento. Under his leadership, the Bank has more than doubled in size from $800 million to $2.2 billion in total assets. Steve has been involved in a variety of charitable activities over the years, including currently serving as a board member for the Kelly Foundation. He is also on the board of the Greater Sacramento Area Economic Council, a member of the Sacramento Host Committee, President of the Sacramento chapter of Lambda Alpha, the honorary society for the advancement of land economics, and President of the Capital Region Family Business Center. 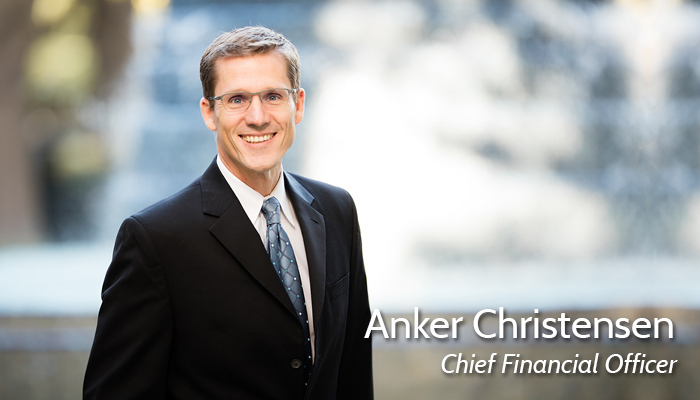 As Executive Vice President, Chief Financial Officer, Anker Christensen manages all financial reporting and budgeting for the bank. Additionally, he oversees the internal audit and compliance departments and property management and facilities department. In addition, Anker is the Executive lead for the Audit Committee, ALCO Committee, and Compliance Committee. Prior to River City Bank, Anker was a Senior Manager with KPMG LLP US, where he spent 14 years providing audit services, merger and acquisition consulting, Sox404 compliance consulting, and SEC reporting services to clients in the financial services industry. Other industries served included, biotech, manufacturing and government. Anker attended California State University-Fullerton earning a Bachelor’s degree in Business Administration with an emphasis in Accounting. Married with three sons and residing in Roseville, Anker is a Special Olympics Coach and involved with various activities associated with Bayside Church. In addition, Anker is Treasurer for Warmline Inc., a Finance Committee member for Sacramento Regional Community Foundation and a Kelly Foundation Board member. As Executive Vice President, Chief Operating Officer, Pat utilizes her 20 years of financial-services experience to manage the bank’s operations, ensuring compliance with policies and procedures and maintaining the premier level of client services upon which River City Bank has established its reputation. 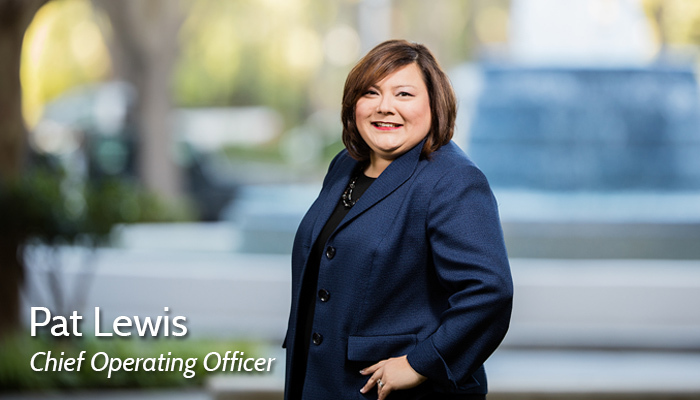 Pat has over 14 years of experience with River City Bank having held such positions as Senior Vice President, Commercial Banking Director and Vice, President, Cash Management Director. Pat has built a highly successful career based on hard work, great people skills and the overwhelming desire to provide exceptional customer service. Pat is a graduate of Texas A&M and holds a Master of Business Administration from Baylor University. She is active in community service and is currently serving on the board of Wellspring Women’s Center. When she is not busy at work, she and her husband enjoy spending quality time with their son. As Chief Credit Officer, Pat McHone has been an integral member of River City Bank’s executive team since 2008. 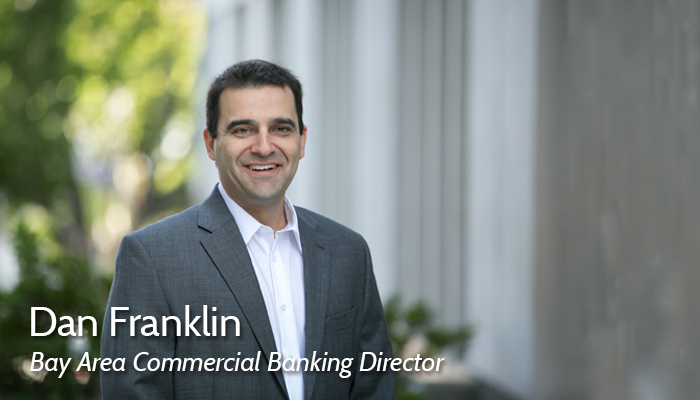 In his role, Pat is responsible for all aspects of overseeing loan production and credit quality for the Bank’s portfolio of consumer, business banking and commercial real estate loans. To maintain River City Bank’s solid loan portfolio, Pat places a strong emphasis on knowing our borrowers inside and out, and knowing every aspect of their financial statement. 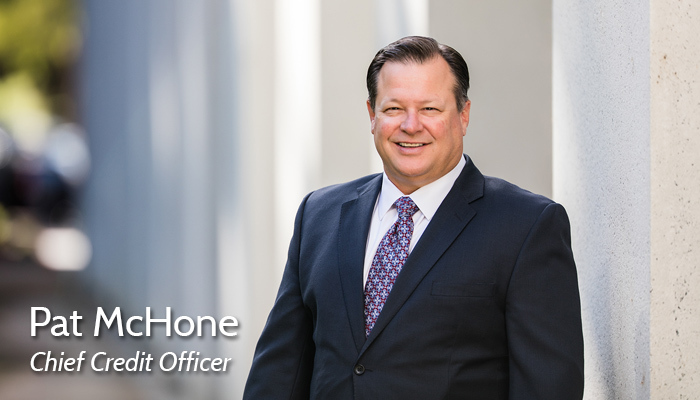 With more than 30 years of experience, his banking career includes 16 years as Senior Vice President and Sacramento Valley Region Manager at Mechanics Bank and seven years at Security Pacific Bank. Pat received a B.S. in Business Administration from Menlo College, School of Business Administration. Dan received both his undergraduate and MBA degrees from the University of California at Davis and is a recipient of the Chartered Financial Analyst designation. Amber manages and oversees the marketing function for River City Bank. 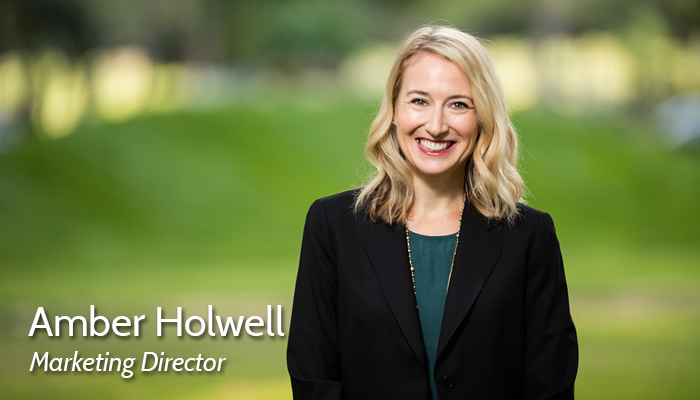 Her diverse responsibilities include developing and executing the Bank’s marketing plans and monitoring their success, organizing and conducting the Bank’s signature events within the business community, as well as managing the daily operations of the marketing department. Prior to joining River City Bank, Amber was the marketing director of a Denver-based national law firm and, prior to that, served for more than six years as a sales and marketing project manager for a major real estate marketing and development company in Chicago. Amber earned a Bachelor’s degree from the University of Colorado at Boulder and holds real estate licenses in California and Colorado. Amber currently serves on the boards of the Kelly Foundation and Sierra Forever Families. She is also the marketing committee chairperson for the Capital Region Family Business Center. In her free time, Amber enjoys running, cycling and spending time with her husband and two daughters.